Forget the Frank Lloyd Wright clubhouse for a minute and the master’s architectural imprint. Put aside the acclaimed “Dragon” golf course that snakes across 1,280 acres of pine-clad topography. 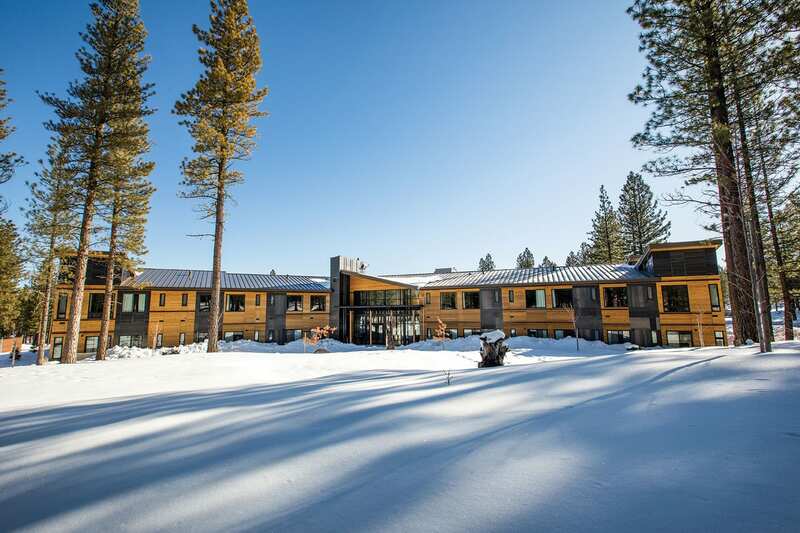 There is an entirely new four-season future taking shape at Nakoma Resort north of Truckee. 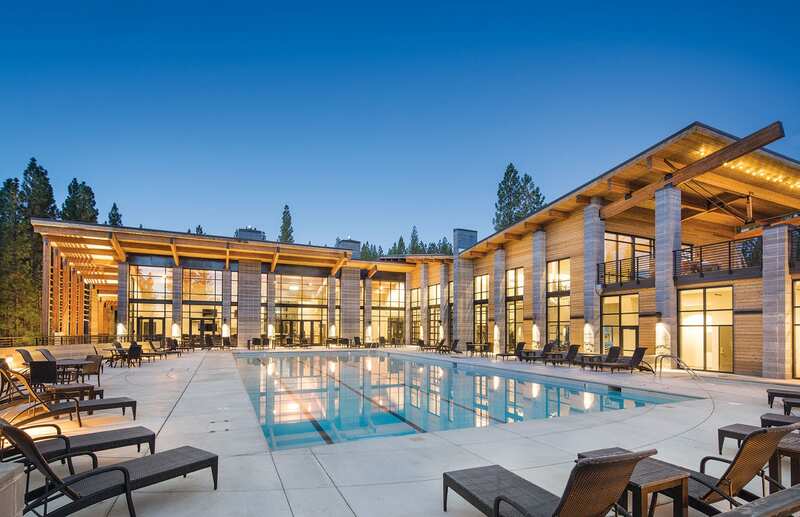 This fall, the Plumas County resort unveiled Altitude, its impressive new recreation center just a stone’s throw away from the two-year-old, 42-room Lodge at Nakoma. Nakoma’s substantial investment creates a year-round destination at a spot on the map known historically for one season and one sport—summer and golf. 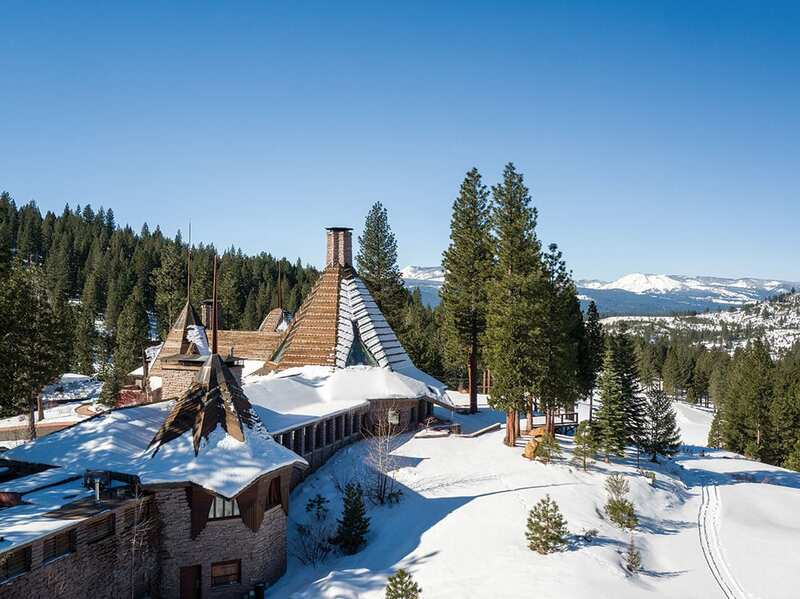 “It is a different four seasons than Martis Camp or some of the Tahoe developments, but it is four seasons,” says Sierra Sotheby’s real estate broker Ron Hemig, a decades-long Truckee fixture who pulled up stakes for Nakoma three years ago. The resort’s new additions are perhaps the biggest bet Plumas County has ever seen on the future of the “Lost Sierra,” an untrammeled region of immense natural beauty less than an hour’s drive from both Truckee and Reno. When the Arizona-based Schomac Group bought Nakoma out of bankruptcy in 2010, the developer saw pure potential. While developers with less vision might have been hung up on the deep disrepair of the one-of-a-kind Frank Lloyd Wright clubhouse and the nearly fallow Dragon golf course, the Schomac Group saw the bones of something special. Before the purchase, Sacramento native Michael Schoff, founder of Schomac Group, spent countless amounts of time in Tahoe, but never ventured north of Interstate 80. When he did, what greeted him blew his mind. In that expansive network of meadows, lake-speckled mountains and serene woods, he saw equally vast opportunity. With that visionary foresight, the Schomac team purchased the Nakoma property and revived the clubhouse and golf course. But they soon understood that was only the start. Schomac embarked on one of the most ambitious investments that Plumas County has ever seen. First, it was the rescue of the awe-inspiring Frank Lloyd Wright–designed Clubhouse. 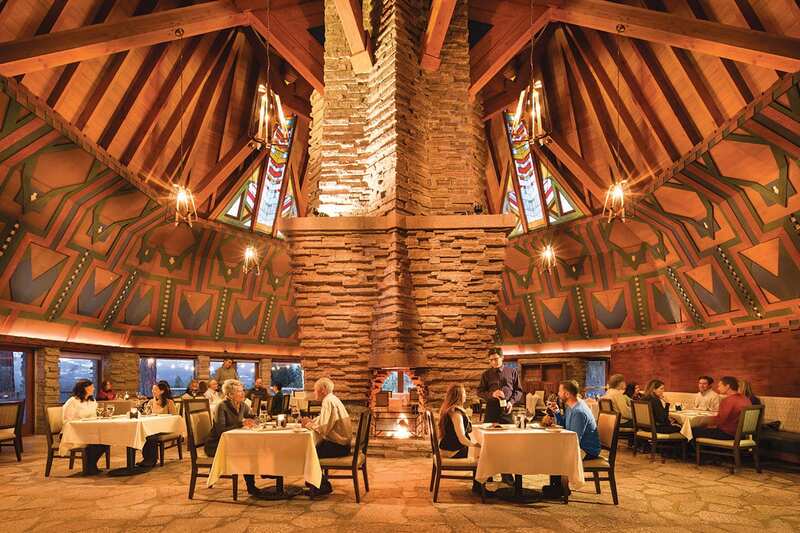 Then it was the Lodge at Nakoma, the first such amenity built in the Lost Sierra in more than a decade. Altitude opened in October. As Schomac pours tens of millions into the property, a new Nakoma is rising from the ground. Framed by the clean lines, exposed beams and exterior metal designed by Reno-based architect Cathexes, Altitude holds a heated outdoor pool and hot tub, indoor climbing wall, fitness center, children’s room, bistro, yoga space, family recreation room and 20-seat theater. “To have this set aside for 400 homeowners and guests is unbelievable,” says Hemig, noting that similar facilities at developments like Truckee’s Tahoe Donner were built for 6,000 homes. Alongside the recreation center, new Method Homes called “Ascend” are under construction. The pre-built, architecturally inspired homes range from 800 square feet to over 2,500. They add a fresh, innovative second-home offering to the resort’s large-lot estates. The dwellings, built by Truckee’s Mark Tanner Construction in collaboration with Seattle-based Method Homes, will start as low as $295,000 and include full access to Altitude. The developers hope that price point and size will attract a diverse crowd of young couples, Bay Area telecommuters and families. The new Ascend home options, Altitude and the Lodge will be a nexus for a new face of Nakoma—a base camp for exploration of the region’s vast four-season recreation. Nakoma mirrors Tahoe in many ways—similar forested peaks, limitless recreation in the Lakes Basin, and enough hiking to last a lifetime. But the serenity of the Lost Sierra sets it apart. Second-home budgets stretch further in Plumas County than in Truckee-Tahoe, and Tanner sees a specific market for homeowners in Arizona or other hot-weather locations who desire a summer escape from the heat. While Nakoma will never be Tahoe with its high concentration of ski resorts, there is still winter fun to be found on the Nordic skiing trails of nearby Plumas-Eureka State Park, the legendary longboard races at the Johnsville Historic Ski Bowl and backcountry skiing off of Eureka Peak. And while many visitors fall in love with the serene summers the Lost Sierra serves up, winter takes that serenity to another level. For those accustomed to battling Tahoe traffic to get to the ski resort, this is certainly the antithesis. “What I think we’ll do with our winter business is just get people addicted to this place,” says Gallagher. 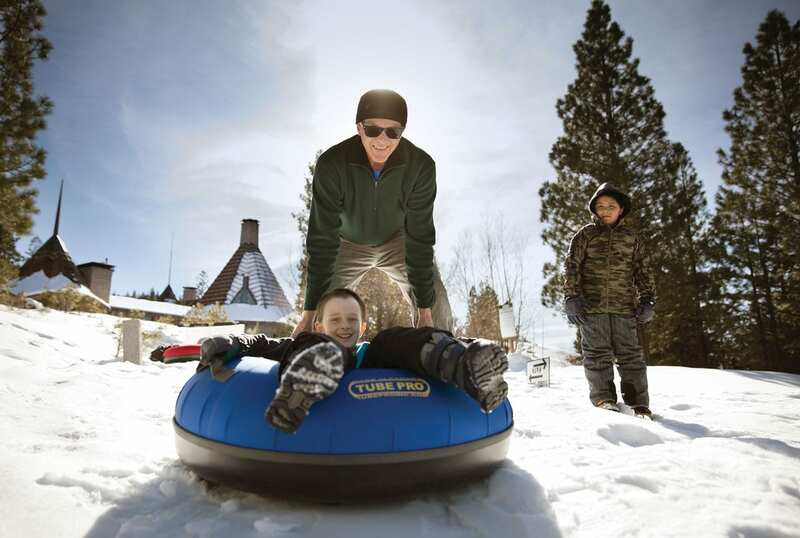 David Bunker is a Truckee resident who enjoys visiting the Lost Sierra with his family. • Altitude: 12,500-square-foot recreation center open to Lodge at Nakoma guests. •Ascend: Luxe modular homes in three floor plans from 800, 1,200 and 2,665 square feet. • Dragon Golf Course: The once notorious course now plays more fair, with fewer bunkers, select tree removal and softened greens.